The state would pursue 80 percent clean energy by 2050 and 3,000 megawatts of energy storage by 2030 if regulators adopt the proposal. 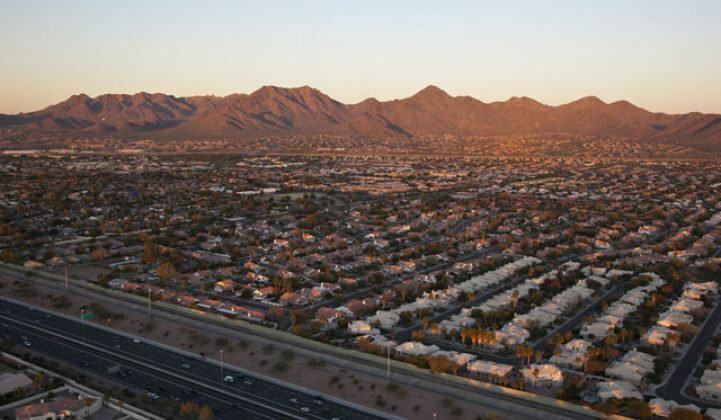 Sunny Arizona could pioneer a comprehensive storage-plus-clean-energy makeover. Arizona is setting out to prove clean energy leadership doesn't exist solely in coastal states like California and New York. Andrew Tobin, a member of the Arizona Corporation Commission, proposed a clean energy overhaul Tuesday that would put the state at the front of the pack. The Energy Modernization Plan aims to produce one of the cleanest energy mixes in the nation, while lowering prices for consumers and improving grid reliability. That means not only tackling the issue of clean baseload power, but also figuring out how to supply peak power in a cost-effective and clean way. Peak hours drive increasing expenses for utilities and their customers, a challenge that intermittent wind and solar alone cannot address. As such, Tobin's plan includes an 80 percent clean energy target by 2050 coupled with a 3,000-megawatt energy storage procurement target for 2030. That would leapfrog the state ahead of California and New York, which have dominated the grid modernization discussion so far. They both have 50 percent renewable energy targets on the books for 2030, and storage targets of 1,300 megawatts and 1,500 megawatts, respectively. "We’re not trying to get on the train; we're trying to be the engine in the train," Tobin told GTM. "This is Western people doing things and setting lofty goals and reaching them." He has asked to get the concept on the agenda for the ACC's meeting on February 6. If the five-member commission adopts the plan, as Tobin hopes it will, staff would begin a rulemaking to finalize the official language. That process could take up to a year and would involve stakeholder input. The state currently is working toward a 15 percent renewable portfolio standard for 2025. The ACC set that policy in 2006, and included a 30 percent carve-out for distributed generation starting in 2012. Since that time, solar generation has expanded, but so have the other tools available for sophisticated grid planning. That means it's time for an update, starting with the name. Tobin suggests switching from the "Renewable Energy Standard and Tariff" to the "Clean Resource Energy Standard and Tariff." "This name change will allow for the development of broader diversified energy policies relating to clean energy resources, energy storage and energy efficiency, not just those related to renewable energy," the plan states. It would maintain all the functional elements of the REST, while tacking on additional targets. Arizona's abundant sunlight has blessed it with excellent solar power opportunities, as captured in Tucson Electric Power's record-breaking $0.03 per kilowatt-hour PPA* last year. 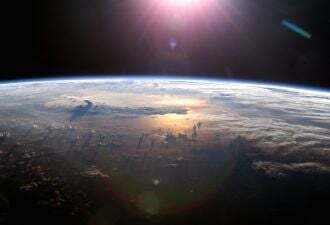 The renewable generation target, though, simply encourages more of the cheapest renewable energy on the grid, leaving utilities to figure out how to keep the power flowing when the sun goes down and demand peaks. That means ratepayers fund the build-out of generation and the peak power plants needed to balance those resources. Tobin tackles this by drawing on the "Clean Peak" idea developed by the state's ratepayer advocate. Under the newly proposed Clean Peak Target, utilities will take a baseline of how much clean energy they deploy during peak hours. They will be required to increase the clean energy share by an incremental 1.5 percent of the baseline each year through 2030. That will, in all likelihood, require energy storage to make renewable power plants dispatchable on command. "In order to reduce curtailment and unlock the peak-shaving and grid-support capabilities of existing renewable resources, priority should be given to exploring retrofits of existing renewable energy resources that currently lack energy storage solutions," according to the plan. A strong clean energy target drives deployments, while related policy encourages clean peak power, thereby guiding the storage rollout called for by the strategy. That comprehensive, coordinated approach to the energy system is a major strength of the proposal, said Lon Huber, the Strategen consultant who developed the Clean Peak idea on behalf of the Residential Utility Consumer Office. 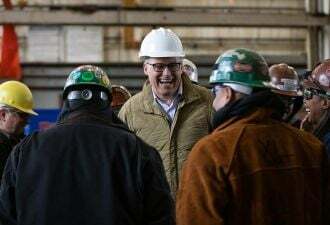 "This is one of the first state policies where all the parts work with each other," he said. "They’re all self-reinforcing, and they all work toward a common goal." The overhaul would help Arizona harness its uniquely low-priced solar resource, deliver it at peak times, and do it through long-term contracts that eliminate fuel price risk for consumers, he added. For a state that has to import its oil and gas, that means more dollars spent in-state rather than sent out to pay for fuel. Keeping energy prices competitive, especially for Arizona's many retirees and rural residents, was a major motivation for Tobin. He also considered the broader economic development implications. "We think we are primed for Arizona to attract businesses from around the country that will be able to come here and see a clean energy future and a stable grid at the same time," he said. Arizona has hosted its share of political battles over clean energy. For Tobin, the plan just makes sense for the state. "The whole idea is, who doesn't love solar? And if solar doesn't have a place in Arizona, where does it have a place?" he said. He's not invested in clean energy at all costs; he's invested in clean energy as a cost-effective vehicle for achieving numerous social goals. For instance, the plan calls for utilities to procure 60 megawatts of biomass energy by the close of 2021. The idea is to work with state foresters to thin out high-risk trees that threaten to fuel deadly forest fires; if they're being cut down anyway, the thinking goes, why not produce energy in the process? The language around "clean" as opposed to "renewable" energy preserves a role for nuclear power in the long-term energy mix. Arizona got nearly a third of its electricity in 2016 from Palo Verde, the largest nuclear plant in the U.S. This nomenclature sidesteps divisive debates over what role nuclear should play in a clean energy mix, as has come to pass in California and New York. The push for firm renewable power also means that wind and solar would play better with nuclear as clean baseload. The ups and downs of renewable generation require flexible capacity to balance them out; by smoothing out delivery of renewable power via storage, Arizona gives Palo Verde more breathing room to operate steadily. The largest impact may be felt in the storage industry, which would receive long-desired market recognition for holding clean power for use at times of high grid demand. 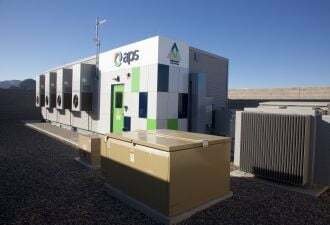 "It shoots Arizona to the top echelon of states that are ambitious around storage and clean energy," said Ray Hohenstein, market applications director at Fluence, which has been a pioneer in large-scale storage deployment in Arizona. Storage developers have long been asking for a chance to take the place of fossil fuel plants for peak power. It's starting to happen on a small scale in California, but Arizona could be the market where they get the opportunity they think they deserve. *An earlier version of this story misstated the PPA price and has since been corrected.